Google Earth view of our work area, looking north-west. 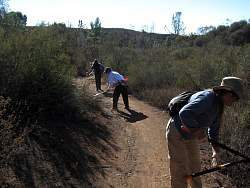 The CORBA crew worked the bottom (green) and the Trails Council crew worked the top (yellow) of this 2.5-mile long segment of the Backbone Trail. Mulholland Hwy (23-S) is at the bottom of the image. The trail ends at Etz Meloy Motorway. 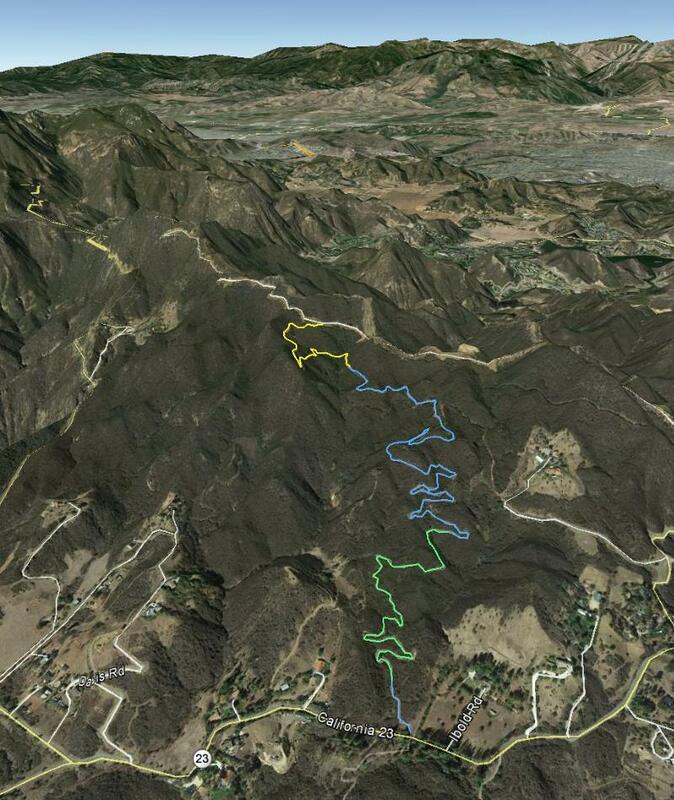 On the far side of the Etz Meloy ridge is Hidden Valley, then Thousand Oaks and Camarillo farther on.